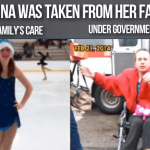 Justina Pelletier was not an isolated example of CPS abuse. 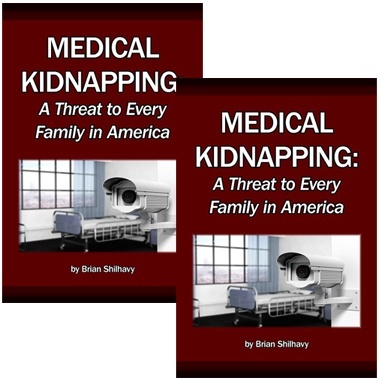 Similar abductions and medical experimentation have been taking place throughout the United States since the late 1980s. 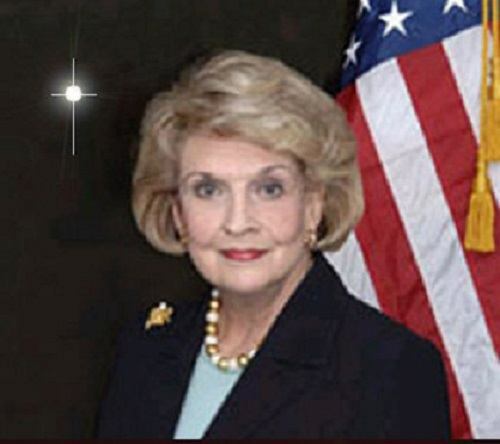 Georgia Senator Nancy Schaefer. 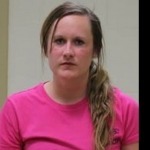 Crusader against CPS before her murder. The late state house senator from Georgia, Nancy Schaefer most likely gave her life in exchange for bringing CPS sponsored medical abuse to light. 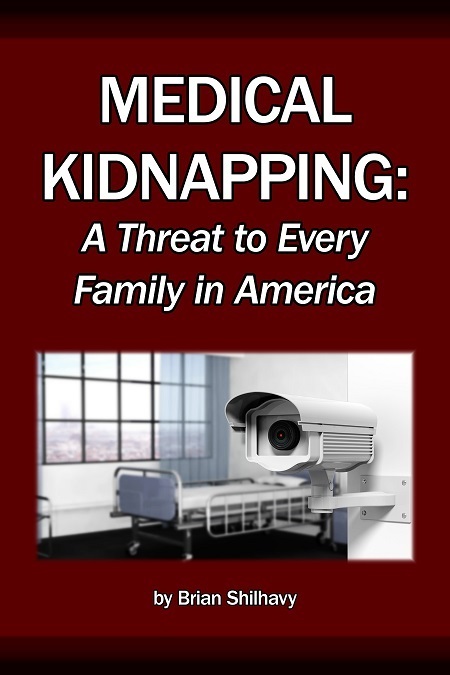 She publicly exposed many cases of medical kidnapping, which involved CPS workers in numerous states. Nancy Schaefer describes the attack that is being waged against children for the purposes of drug experimentation and adoption. She points out how such state sponsored child abuse is ultimately an attack on the sovereignty of parents to make decisions for their family without coercion and manipulation from state agencies and the family court system. Neither of these organizations is operating to protect the family structure. They are operating under a new ethic, which is to do what is right for the child – and to ignore what is best for the entire family. 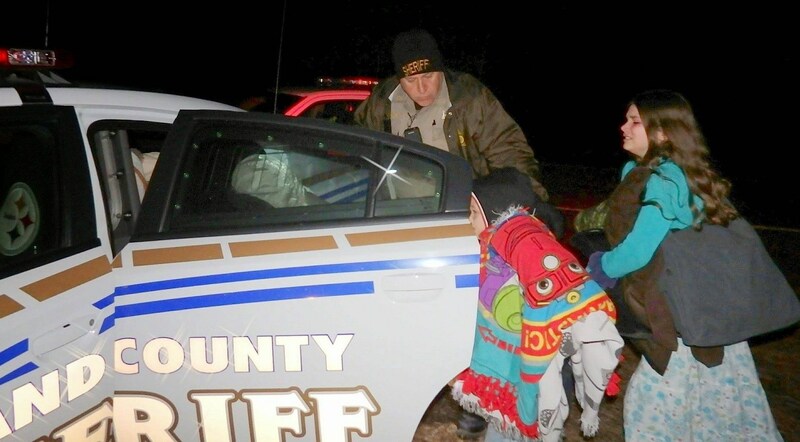 Homeschool children being removed from their family by force by CPS and sheriff deputies. Story here. 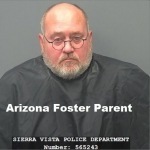 As reported by Steven R. Isham M.A., L.B.S.W, in a recent article published by Health Impact News and MedicalKidnap.com, children who are seized by CPS and placed into long term foster care do very poorly when compared to other children. Foster care is not usually a safe refuge for damaged children, which allows them to heal. Rather, foster care perpetuates the abusive and neglectful patterns in the lives of many children, which sets them up for long-term failure as adults. 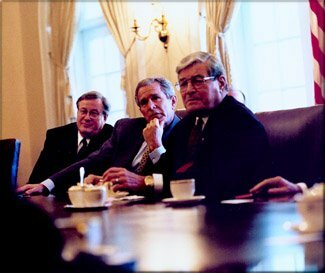 Phil Crane, right, meets with President George W. Bush and Representative Bill Thomas of Committee on Ways and Means. Image Source. In 2005, a hearing with the title “Protections for Foster Children Enrolled in Clinical Trials” was held by the U.S. House of Representatives. The Subcommittee on Human Resources of the Committee on Ways and Means, investigated whether adequate safeguards were in place to protect foster children from being forced to participate in drug studies. 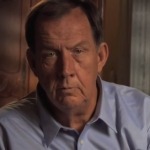 The allegation that they were investigating involved clinical drug trials on AIDS drugs that were conducted during the period from the late 1980s through 2001. In part they were looking back at the past and asking if there were abuses. They were also wondering whether there were any inappropriate actions taking place in more recent years. The testimony could easily be divided into two camps. The first camp could be called the professional camp. It consisted of U.S. Health and Human Services administrators, pediatricians, public health researchers, and CPS administrators. The second camp could be called advocates for injured children. This second camp consisted of representatives from various children’s advocacy groups, biological parents of foster children who were taken by CPS, and various other individuals who were concerned about exploitation and forced experimentation on children. In short, the professional camp did not believe there was a problem. They believed the use of existing institutional review boards (IRBs), which reviewed all experiments involving human subjects, would prevent abuse of children in foster care. They also believed that other random reviews conducted by the federal government would keep researchers from behaving unethically. On the other hand, the camp that was advocating for parental rights and the protection of foster children told a very different story. They described medical abuse. They described individual events, and systemic problems, and called for reform of the CPS system. Members of the congress are very busy people. They do not schedule hearings on potentially controversial topics unless there is already sufficient evidence to warrant the investigation. Sometimes hearings are held to emphasize a problem to raise awareness in preparation for their action. In other situations, hearings are scheduled and witnesses are carefully selected to quiet a politically hot situation, which could bring embarrassment or lead to allegations of criminal wrong-doing. 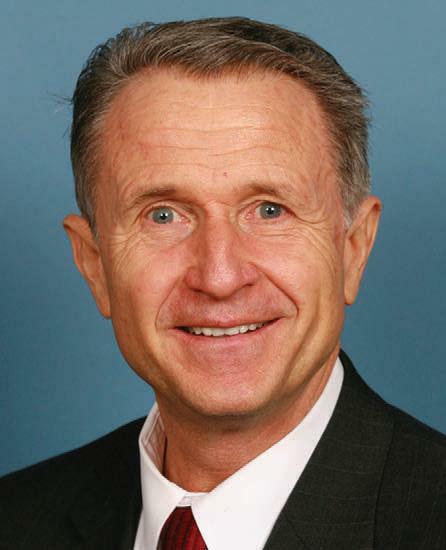 Wally Herger – U.S. House of Representatives from California’s 2nd district. Chairman Subcommittee on Human Resources of the Committee on Ways and Means. In office January 3, 1987 – January 3, 2013. Image Source. Over the last 18 months, this Subcommittee has heard hearings about a number of issues affecting kids in the Federal, State child welfare programs, and this issue is like many of them: It has the potential for being explosive. The child welfare program in the richest, most powerful country in the world is, and has been, often an abysmal failure. We continue to address challenges posed by the threat of HIV/AIDS and are committed to basic and clinical research to strengthen the nation’s ability to cope with this infectious disease. The protection of human subjects, including children, in clinical trials has been and will remain a top priority for HHS. HHS is firmly committed to the protection of the rights and welfare of every individual who participates in human research consistent with sound ethical standards and regulatory requirements. We are not aware of any changes that we believe need to be made. If they are identified, we will be very happy to consider them and make a decision as how best to proceed. We share with you the concern about the adequate protection of foster children. At the same time, the opportunity to let them participate and get the advantage of clinical research, if that is theirs and their guardian’s decision. The testimony provided by advocacy organizations, parents, and concerned professionals told a very different story. Most were not interested in discussing the past AIDS drug trials, but were narrowing in on what they saw as current abuses in 2005. Their testimony exposed a pattern of foster care abuse that has continued to worsen over the past ten years. The abuse now has to do mostly with forced experimentation on foster children with psychiatric drugs, or the treatment of children with very rare diseases. I am the National Vice President and Co-founder of Ablechild.org, a non-profit national parent organization that works on educating the public on the issues of informed consent and the right to refuse psychiatric “treatment”. Our organization is very concerned with the outcome of this hearing because we hear directly from parents victimized by the trafficking of their children into clinical drug trials while in state custody. Ablechild has documented cases of children who have been placed on drugs, completely unaware that they are participating in a clinical drug trial, and without knowing that they have the right to “opt out” of participating. The fact is, the State holds the responsibility of providing informed consent to parents and children, and lacks any procedure to protect and safeguard this right. Our organization points out the problems that resulted from strategies designed to target and exploit these children. The Connecticut Advocate reported these resulting problems in its June 5th, 2001 article, “Study Calls for Review of Psychiatric Drugs Prescribed to Kids.” Within this news story, the authors of a new study questioned why 396 children under 4 years old covered by Medicaid were prescribed psychiatric drugs. Some of these children were less than 1 year old. A clear conflict of interests exists between the pharmaceutical industry and the experimentation occurring on children within state custody. 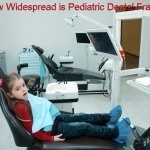 This fact is clearly demonstrated by workshops sponsored by the pharmaceutical and biotechnology industries designed to optimize strategies for drug development and trials in children. As a grandparent and a member and officer of Ablechild, a 501(C) 3 organization, I wish to bring to your attention our cry for the protection of human rights of foster children across America! Our organization frequently hears from parents across the nation who implore us for assistance in the matter of the clinical trial/experimental drugging of their children while in state custody and in foster care. These children have been placed on clinical trial drugs without a legal advocate responsible for safeguarding their health, or their life. As minors these children are unable to opt out of these tests/experiments, the parents have been denied their right to dissent and there obviously are no procedures in place to safeguard the rights of the children. Thank you for considering my testimony. When my son was 10 years old, he was attending Washington School in Waterbury, CT. He started having problems in the beginning of third grade, September 1999. He was being picked on and bullied by the other children. His grades started suffering and he too started having discipline problems. This bullying was brought to the school’s attention, but it still went on. The principal suggested a PPT. I agreed and at the first PPT I agreed to have him tested. I was then told he was “LD” (Learning Disabled), but it was not that bad. Next they told me they wanted him to see a psychologist for a psychological evaluation, I agreed. I obtained a copy of the evaluation. My son told the doctor that he had no friends at school. He liked it better at home and would wake up repeatedly at night with thoughts of how to quit school. 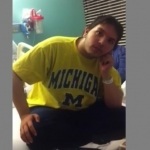 By this time Dr. Abramavich said my son was psychotic and needed to be medicated. I refused. The next thing I knew, DCF (Department of Children and Families) was at my door telling me the school said my son has special needs that need to be taken care of. I still refused the psychiatric drugs. I brought him to “child guidance” and was told that he was a normal child. After several visits from DCF I still refused to drug my son. On March 16th 2000, I found court papers on my doorstep. In them my husband and I were charged with abuse and neglect and were informed that DCF was going to take our son from us. Later that day a social worker and police officer arrived and took him away. 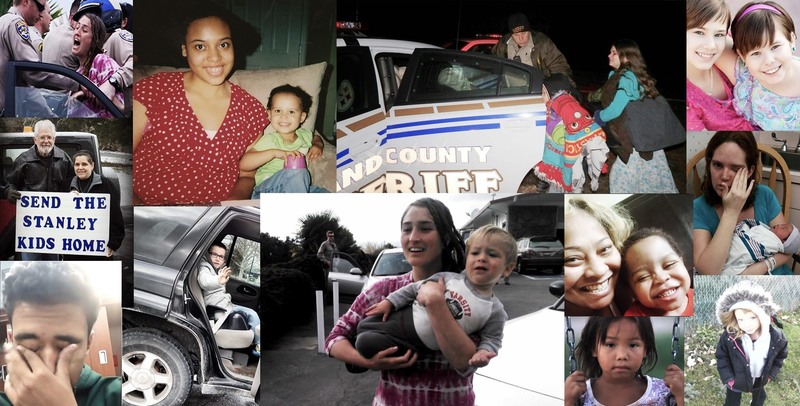 Images from a few of the stories we have covered at Health Impact News and MedicalKidnap.com. It is hard to determine the exact number of clinical drug trials that are currently in process in the United States, or to determine how many children are in such trials. This problem was identified at the House of Representative hearing in 2005, and it still remains a problem ten years later. If data from Europe can be used as a yardstick to compare the involvement of children in clinical studies, then the scope of drug testing on children has increased dramatically since the 2011 data, which was presented at the beginning of this article. The CPS system is setup in such a way that its activities with specific families are secret. They hide behind confidentiality laws to prevent public oversight. They threaten parents with permanent loss of their children if they speak publically. The family court system adds its authority to demand that parents remain silent. All the while, family after family is threatened and broken. Children are brought into drug experimentation programs, and others are provided for the adoption business, which brings even more money into state coffers. CPS intentionally does not place children with family members, because the children bring in greater income to the state when they are placed in foster care home. CPS often acts quickly to put children up for adoption, because the cash payments that the state will receive are substantial. In short, the violation of parental rights is a money making proposition for state government. The money perpetuates the CPS system, and allows abuse to happen in the name of “protecting” children. Physicians are required by law to report to CPS any situation that looks like child abuse or medical neglect. This is a ticket for CPS to investigate, seize children, meet their quotas, and start bringing money into the state budget. Since American culture has been trained to idolize and even worship the judgement of physicians, then most parents have little power to fight both the judgements of CPS and the medical establishment. The Family Court system works hand in hand with CPS and physician recommendations, and gives little respect to the desires of parents. Children with rare diseases, especially rare genetic diseases, are very vulnerable to CPS medical kidnapping and abuse. If parents don’t agree with a doctor’s treatment plan, then the doctors can notify CPS that the parents are neglecting their children by not doing what the doctor recommends. Once this happens, parents lose the right to make independent decisions for their children. 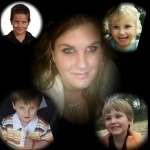 Once control over a child’s life is taken by CPS and the medical care system, then parental rights are ignored. Parents are not usually contacted to obtain permission to allow their children to participate in drug trials. If they are contacted, and refuse to give permission, then they will be ignored and may have future contact with their children denied. The parent’s health insurance companies can be billed for treatments/services that parents did not approve. Payments can even be made for drugs given to children that have not been approved for use with children by the USFDA. There was horrific disregard for humanity that took place in World War II Germany, some of which started out being directed toward the weak and vulnerable, in orphanages and hospitals, but then was directed to millions who lost their lives in the concentration camps. A society does not just lose their regard for human life overnight. It is a step at a time downward and soon that society slips further and faster downward. Many vowed, “Never Again.” We in the U.S. cannot and should not be allowing access to our children for medical research. There is no argument that justifies it!